Independence Day has always been important for our journey toward tiny. We actually use the title "Independence Day" deliberately rather than the 4th of July. For us, this marked a start to our path toward our own independence. We bought our land around September of 2007 so in July of 2008, before we started building the tiny house and before we even knew we would build a tiny house, we invited several friends to our mountain for a long camping weekend. It started a tradition of marking the holiday with steps toward finishing our project. Last year I shared my original LiveJournal post about our second Independence Day trip to the mountain in 2009. Jill and Doug came back around 10:30 and we started assembling the first wall. We measured out and assembled the second wall as well. Then our friends Bill and Susan arrived around lunch time. They got their camp set up and it was finally time to erect the walls! After we got the first couple of walls up, Nicole and Ben arrived. Our whole crew helped us erect all four walls and finally there was a real sense of accomplishment. I was so proud of everyone working together. We did good work! In 2010 we took another week long vacation to work on the house. We were much further ahead with progress than we were the year before, even though it felt like it was taking absolutely forever at the time. The big project for the 4th of July was building the overhang for the porch. Matt and Bill figured out the engineering of the project by determining the math and angles and constructing a temporary structure to hold it up before a porch and posts were built. Once the engineering was complete, the actual construction went quite smooth. Sunday night, we made steaks and camping potatoes for dinner and built a fire. Our neighbors came up to hang out by the fire. We played music and sang by the fire. In 2011 it seemed simultaneously that the house would never be finished and was so close to being complete. Because the house was nearly done the weekend was spent mostly with friends relaxing, playing music, and eating. The morning fare - scrambled eggs, biscuits and pork sausage patties. It was yummy and the perfect brunch. After breakfast, some folks went out to Lowe's to get the stuff to build a new fire pit. When they got back and got unloaded, there was discussion among some to take a drive out to Mt. Mitchell. I stayed behind with a couple other campers and we had a lovely afternoon hanging out by the barn and enjoying some beer. When the rest of the group got back we were regaled with stories of the tallest mountain east of the Mississippi. Since we moved into the tiny house in May of 2012 we didn't host a camp out and work party that year. We had traveled for several weeks over the summer just before the holiday so we wanted to stay at home. We were pleased with our new lifestyle of independence. For several years we have hosted a 4th of July camp out here at Mt. Matt. This year we decided not to do it for several reasons - we took a two week trip, people have been visiting us on their own schedule, and we're just getting ourselves involved in the community. However, the reason Independence Day has always been important to us here is because of the real sense of Independence that this tiny house provides us. Pulling up the blog posts from July of 2013 shows that I didn't write anything about the 4th of July that year. I do remember thinking about blogging a lot that summer and realized that the adventure of building the tiny house had given way to the real life of living in it. But I did write this blog post about why I work from home which certainly has the theme of independence. I don't see a big difference between what I do and how I live. I don't even think there are words for it in the English language. We are so ingrained to see work in terms of "Career" or "Job" that there is a sense of separation that is inherent in it. The closest I have come to the right phrase to convey what I feel about working is "Work/Life Blend." Even still, that article makes a case for 24/7 connection to your job and working on vacations, which isn't exactly what I mean. Summer of 2014 wasn't a banner year. I had some health complications that impacted how we spent time in our tiny house. I won't lie, it was difficult and I am still recovering from it; if not physically, mentally. That's why, rather than talking about what was happening to me, I reposted about our first build trip at the mountain. This year I am continuing the theme of Independence. 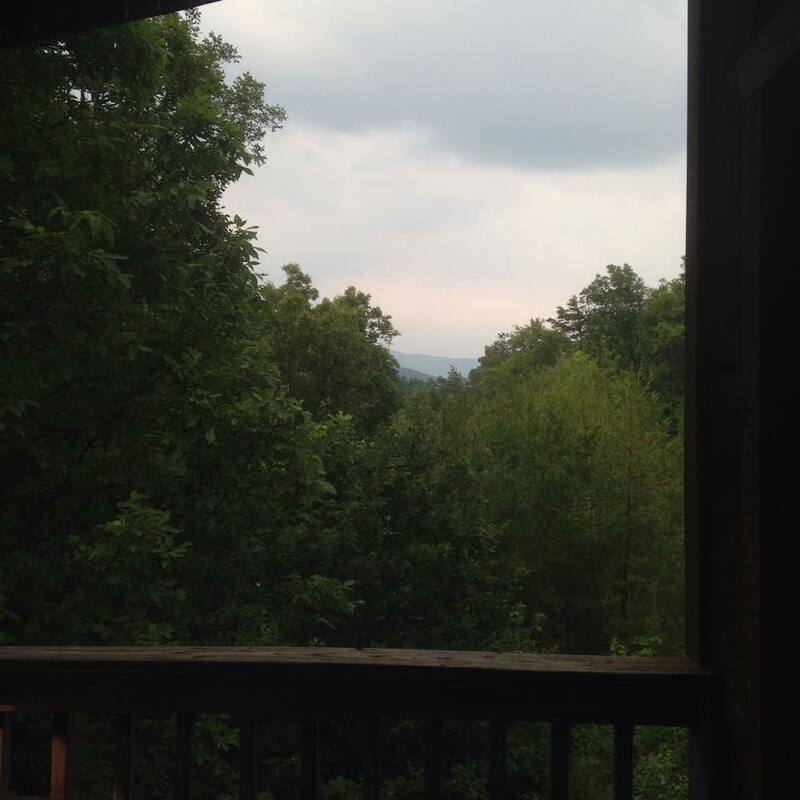 I am typing this blog post from the kitchen table of a friend's cabin while they sleep in. I chose this lifestyle so I could have the freedom to work from anywhere. There are actually some big changes coming to Life in 120 Square Feet over the next few years. They are amazing things that I can only hint at for now but will impact our lives tremendously and it is all part of the same path of independence. I would like to wish you and your family a wonderful and safe Independence Day! Tell me, what does independence mean to you?